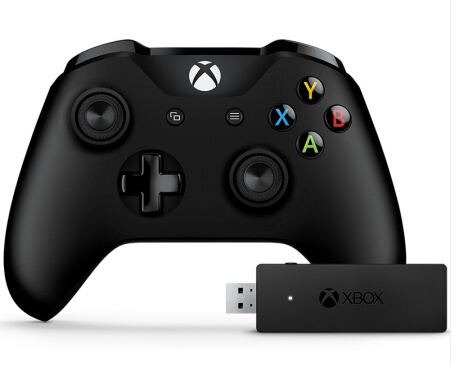 Hello everyone, I was wondering if anybody has had luck connecting the new Xbox one s Bluetooth controller to Lakka using Bluetooth? I tried disabling the Bluetooth ertm and it still didn’t work. I’m running Lakka 2.1rc5 on a tinkerboard and also Lakka 2.1 x64 on a pc and I can’t get the controller to connect. Please provide some log at least dmesg and lsusb output. Why did you disable bluetooth service if you need to use bluetooth ? I followed the instructions in this post https://www.reddit.com/r/Lakka/comments/6qvy2y/is_the_xbox_one_s_gamepad_working_with_bluetooth/ Since it wasn’t working the regular way. I fixed it and now it works. The instructions were missing part of the command on the autostart.sh file. Thank you for the reply though. I managed to connect my ‘Xbox Wireless Controller’ to a raspbery pi 3 running Lakka 2.1, but when I use the direction cross in the menu, it behaves as if the inputs were repeated twice. A short pression of the cross jumps over the menu enties. Note that the controller behaves correctly when connexted via USB. Does anyone know how to debug this? Some keys won’t register but I got my keys with jstest and saved the config file. Hi. I am a novice. I need help. I am a U disk boot lakka, my windows adapter does not recognize, did not start, I use the xbox one handle and Lakka-Generic.x86_64-2.1.img. Platform is PC. The original system is win10, xbox one handle no problem. Is lakka does not support xbox one, or need to change other settings Thank you. Yes . I am using the new Xbox one Bluetooth controllers. Thanks for your reply. Where can I get the answer? If your controllers are the bluetooth version you do not need the wireless adapter. Then you connect them using the same procedure as a PS4 controller following the instructions on this link. @mataisma With me being the noob I am, could you explain what did or how you got into “/storage/.config/autostart.sh”? I used WinSCP to connect and I went into “/Storage/.config” and there was no “autostart.sh” file there. Again, I’m new here and I’ve been reading up on the FAQ’s and looking up a bunch of terms I don’t know still. I’ve connected A dualshock 4 controller before so I got that part down. If the “autostart.sh” file is not there you have to create it. It worked, it’s connected but now when it connects and says it’s configured, it’s impossible to navigate though the UI. Whenever I try to move up or down using D-pad or joystick it would skip to the last selection and I can’t manually configure it because it’s the same thing when i try to navigate using keyboard keys. but then it’s fine when the controller is disconnected. Does it have something to do with the authorizing of the controller? The autoconfig file on mine had the keys all messed up on my system that’s why it acted crazy. I linked my configuration file a post above try it and hope it works. in first my english is not so good. I installed Lakka on my Raspberry 3. All works good but my xbox one s controller with Bluetooth not works.